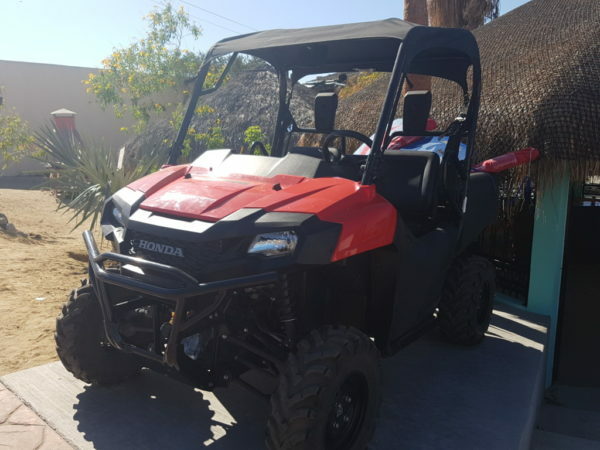 Welcome to QuadGirl ATV / UTV Rentals located in Los Barriles, BCS. 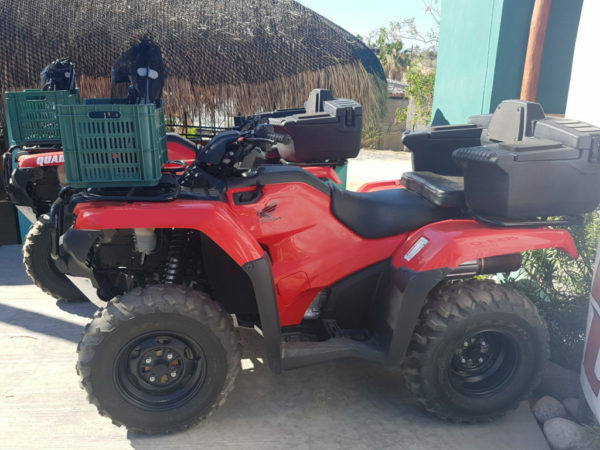 Listed below are current rentals rates for our quads, ATVs, 4 wheelers, side by sides. If you have any questions, feel free to call us toll free at 1.888.782.3748 or send us an email and we’ll get right back with you. 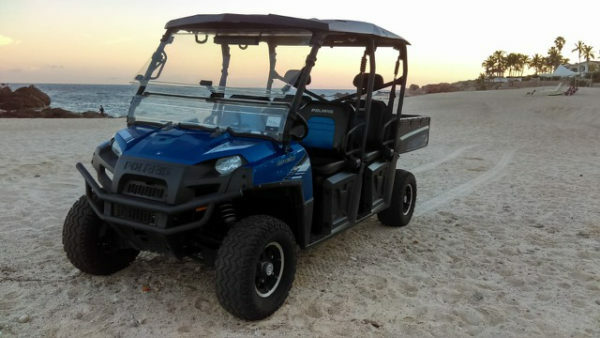 This side by side 4 seater is larger, heavier and more spacious than an ATV. It’s perfect for off-roading with kids, since it’s both easier and safer for children to be buckled into a UTV. The Razor 900 4 seater – made to match your passions, featuring only what the best side by sides (SxS) can deliver! It doesn’t get better than this! The “Black Pearl” has arrived and is the latest in the QuadGirl & QuadDawgs fleet of quads available for rent. 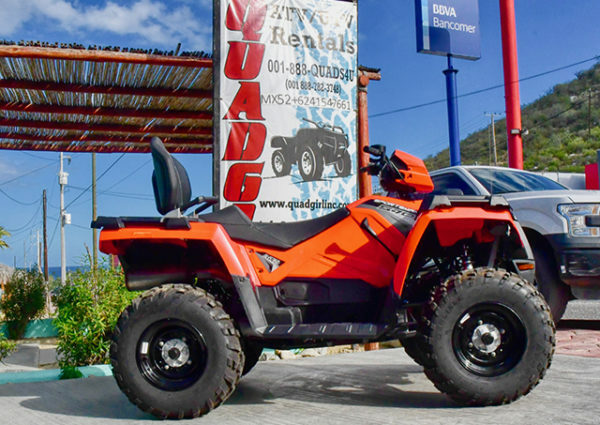 The Razor XP 4 1000 offers more power yet safer driving controls with a precision tuned suspension system and amazing ground clearance. 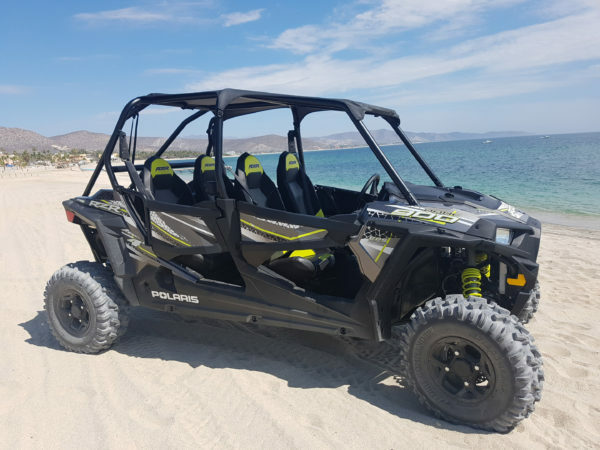 Other features include door speakers, integrated GoPro® controls, front and rear camers, smartphone connectivity and more! With our top of the line shocks on all four sides, you’ll feel like you’re driving on air. An amazing experience! The ultimate in comfort for you and your passenger! 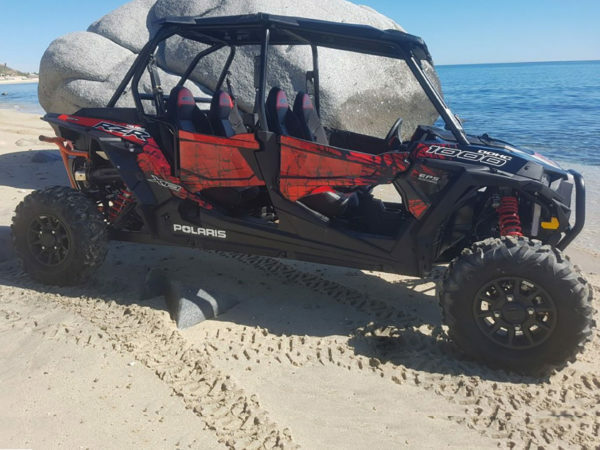 The Sportsman Touring 570 provides the legendary ride and handling experience for 2-passengers that Polaris is known for and makes the Sportsman the best-selling automatic 4×4 ATV of all time. You’ll be ready to take on any trail, whether you go it alone or bring a friend along for the ride. 4 wheels plus 6 seats equal hours of fun in the sun! Large groups can now enjoy rides together and enjoy the off-road action. Cruise down to Cabo Pulmo, up to the waterfalls, or head to Punta Pescadero for lunch. 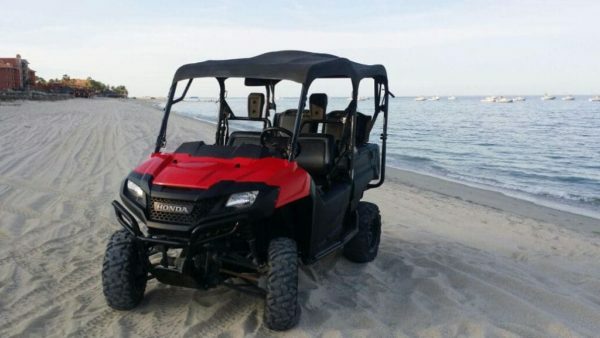 Whatever your plans are, the 6-seater keeps the crew together and having fun!